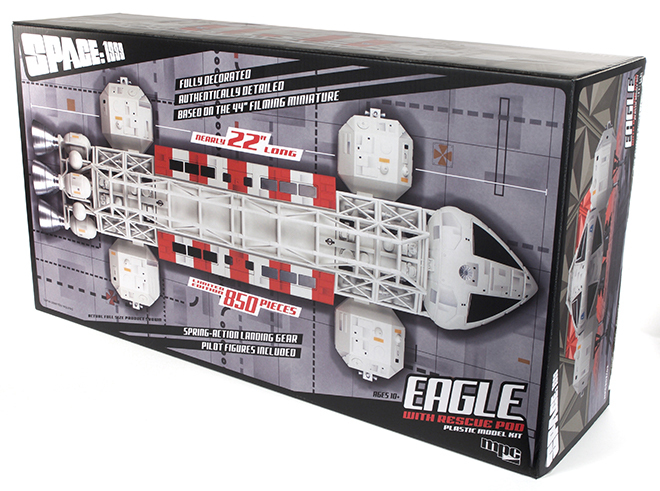 Last year’s release of our 22″ Prebuilt Space:1999 Eagle Display Model was an instant sell out. It was limited to just 500 pieces as we tired to judge the market for a fully painted and (mostly) assembled model. The response to it has been great, and as you’ve probably heard by now we are doing it again. 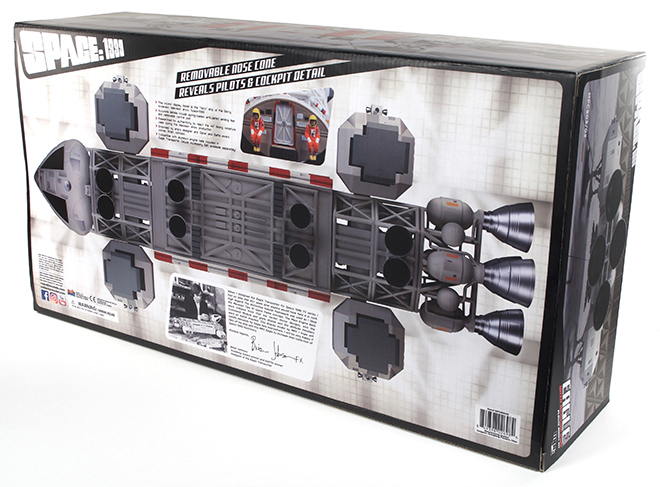 This time we will be releasing the model with a Rescue Pod which features its iconic red and white stripes. The weathering panels have also been changed up from last time as well. And we have bumped up our production number to 850 this time around. Pre-orders on the model have been great and we expect another sell out. We’ll see if there is still enough interest to do more later on. The model should arrive in late November or December. Here is a look at this version’s packaging. This entry was posted on Monday, October 8th, 2018 at 9:00 am	and is filed under MPC, Round2 Models, Space:1999. You can follow any responses to this entry through the RSS 2.0 feed. You can skip to the end and leave a response. Pinging is currently not allowed. Have two on pre-order since day one at CultTVman’s Hobbyshop! Loving the box art too, just beautiful! Congrats on another home run! how much is this to buy? I’ve always wanted a built Eagle. The SRP is around $300, but you may find it cheaper depending on the retailer.